Mitakihara Magi Football: New album from Ultimate Pep Band coming out! New album from Ultimate Pep Band coming out! 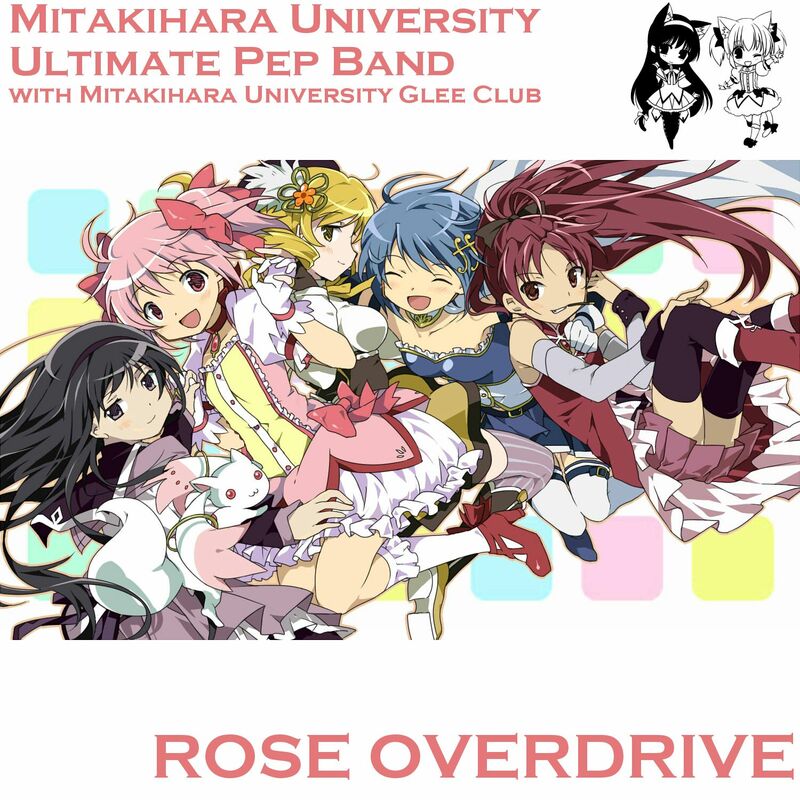 This year, the Mitakihara University Ultimate Pep Band strikes with their next album, entitled "Rose Overdrive." It's a collection of famous Eurobeat pop anthems made famous by the hit anime series Initial D. The Mitakihara Glee Club also lent their voices for this album, eliciting a smooth, harmonic feel matching the energetic pace of the melody. "We wanted the Glee Club to give us their voices for this album because we know their reputation and they know our love for high-energy pop anthems," said Glen Alcanta-Ferrer, a senior trumpeter and music major from Red Deer, Alb. "The album 'Rose Overdrive' is our way of proving people that we can play Eurobeat music and replicate our way. We are faithful to the melody and tempo but at the same time, we give it that unique Mitakihara sound that is unmistakable. "We recorded this album at Kajiura College of the Arts in August and the mixing concluded in September of this year. We will be performing songs from this album all season." Rose Overdrive is available on iTunes for $19.99 CAN. The Special Compilation, "Rose Overdrive Plus," includes eight bonus tracks and is available on iTunes for $24.99 CAN. The last two bonus tracks includes cameos from the Mitakihara Marching Ultimates, the Mitakihara Japan Campus Chorus and Kazero Otonashi of Kazero Wingman.